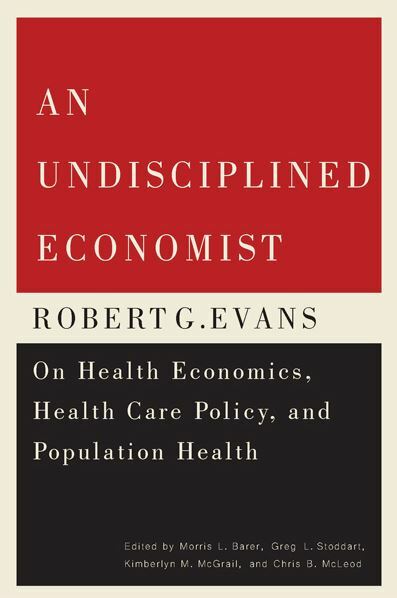 For four decades Robert Evans has been Canada’s foremost health policy analyst and commentator, playing a leadership role in the development of both health economics and population health at home and internationally. An Undisciplined Economist collects Evans’ most important contributions and includes two new articles. Atlases authored by CHSPR faculty and staff from 2002 to the present are listed here. Older peer-reviewed publications are usually available from individual journals and can be searched for using PubMed. Older reports published by CHSPR (from 1973) are available from the UBC Library cIRcle database. If you cannot find a specific publication, please contact us.